Every startup will encounter disaster on their journey at some point - but it doesn't have to be a negative thing. Learning to cope with the unexpected is one of the most important skills an entrepreneur can possess. Perseverance, quick thinking, and the drive to never give up are essential. Just ask Greg Duggan, the co-founder of WheyHey. 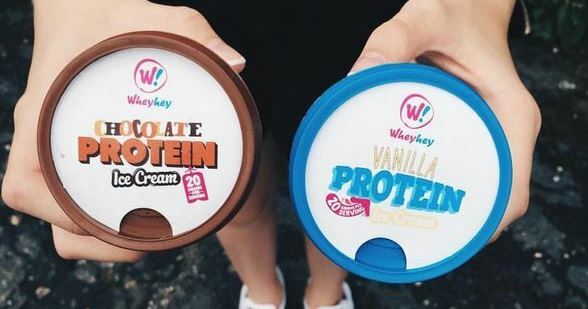 Their protein-packed, low-sugar ice cream is stocked in Tesco's, loved by model David Gandy, and is a staple treat for the health-concous all across the UK. But despite inventing ice cream that's literally good for you, the path to success hasn't always run smoothly. Here Greg shares the story of an incident that threatened to stop WheyHey in their tracks - and how they persevered. It was all coming together - we had just received our first order from a major retailer. Up until this point we had a tiny business that sold into corner shops and small gyms. We knew this was it, this was the moment we had been working so hard towards for over two years, and it was time to push the go button. Cars were sold, houses re-mortgaged, and the trust (and cash) of friends and family had been won. We went full steam ahead with our small manufacturing facility in Nottinghamshire. The excitement was electric as myself and Damien crammed in to help make our biggest production run ever. 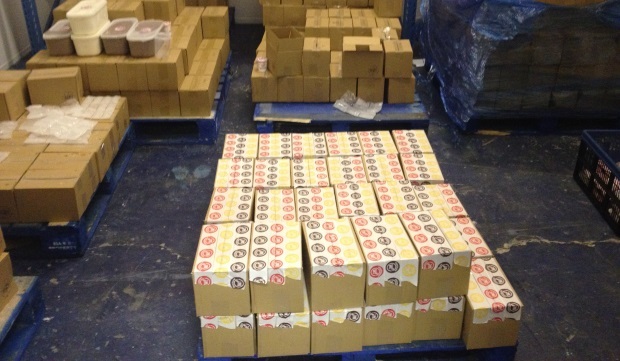 And at the end, this is what we had to show for it: 10 pallets of WheyHey ice cream. 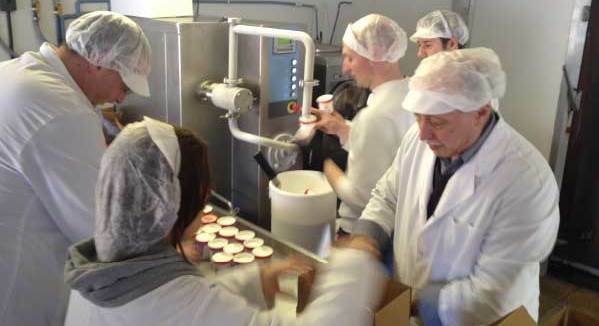 In the words of Craig David, we received the ice cream from the manufacturer on Wednesday, took it to the only frozen warehousing we could afford at the time on Thursday, and spent Friday organising the cheapest delivery method we could find for Monday. The weekend was full of celebrations and shared dreams about the future of Wheyhey, a weekend I remember fondly. Monday morning just couldn’t come quick enough, or so we thought. Damien and I got to the unmanned, frozen warehouse we had rented space in for the opening time of 8am. 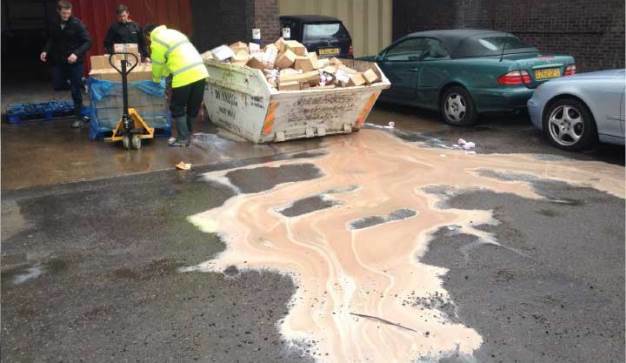 This is what greeted us: a puddle of melted ice cream, our hard work gone in the skip. Needless to say, this was devastating, both to the business and to mine and Damien’s emotional wellbeing. I remember the feeling of blood evacuating my legs and arms as we approached the warehouse. This truly was an unimaginable, almost comical (not at the time) happening. So what could we do? We sat down in the flat after mopping up the worlds longest sugar-free, protein-fortified river, and went about formulating some sort of plan. The product had no insurance, so we only had one option if we wanted to continue: secure a loan and do it all over again. The point is this. The ice-cream river was our first real test as young entrepreneurs, and although we didn’t know it at the time, we were displaying extreme levels of perseverance in the face of adversity. Whether the decision was made out of fear of failure or the choice to drive on and succeed, I cannot recall. The point is, we chose the most difficult path and got through it. Starting a business is an emotional process. Whether you like it or not, your business is a pure representation of yourself in the early days. An insult hits like a dagger to the chest, and a compliment can lift you higher than one of Aladdin’s magic carpet rides. I found the only way to keep a level head throughout the process was to read the stories of those who inspired me in the first place, over and over again. So crack open the biographies of the greats - Steve Jobs, Felix Dennis, Richard Branson etc. - and picture yourself in their shoes. If you revel in the idea of succeeding through the turmoil that they have all endured, then I’d say drop everything and go for it and do not stop until you deem your journey to be a success. However, if it sounds like your idea of hell, perhaps take a view and let the other mad bastards do it.